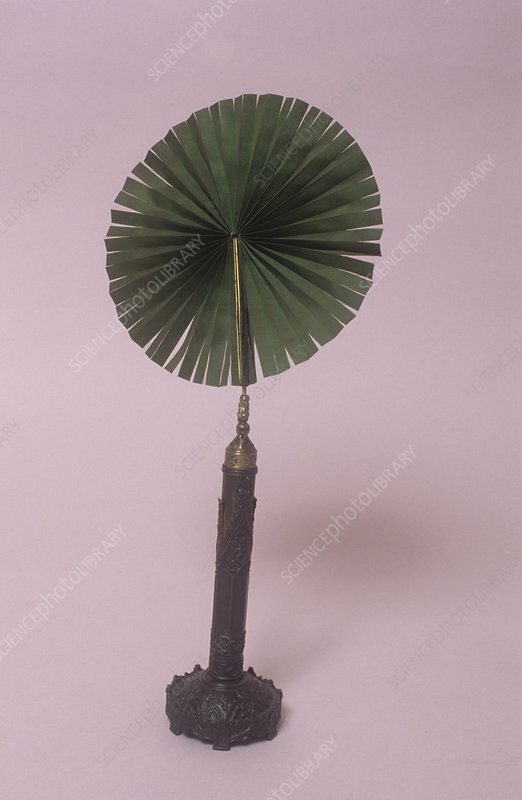 Day's patent fan with gothic decoration. This fan was used for protecting the face from heat such as beside the fire. It dates from 1830, England.